Their preparation, pre-launch marketing, and word-of-mouth buzz paid off right out of the starting gate. 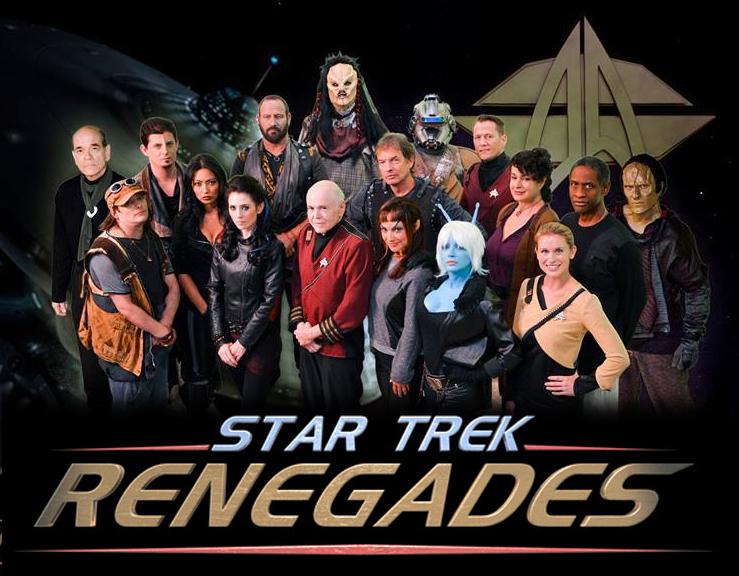 On their first day, the Star Trek: Renegades crowd-funding campaign took in $20,000 in pledged donations. From that point on, the Renegades team put on a veritable clinic in how to run a successful Kickstarter. And remember: no Trek fan production had really figured it out yet. But Renegades were executing like old pros! They had some immediate help simply by virtue of featuring Walter Koenig as Chekov and Tim Russ as Tuvok. At the time, the two actors had only done a couple of fan films each…and one of them, Of Gods and Men, had been produced by the same team. In fact, the quality of the previous production served as a “Look, you know we can do this. Just give us money and we can do it again…even better!” All the pieces seemed to be in the right place. Then there were the updates. Crowd-funding campaigns should never be left on “autopilot.” We now know that if you’re not posting updates at least once every few days, don’t expect much energy or enthusiasm from your supporters. But Renegades was posting updates like crazy—to their Kickstarter backers via e-mail, to Facebook, and using other social media—someones daily and even multiple times in one day! These updates included announcements of new cast members (like Herbert Jefferson Jr. from the original Battlestar Galactica and Grant Imahara of Mythbusters), new production team members (like the addition of VFX superstar Tobias Richter), production sketches, new perk levels, and interviews. If you were a donor, you felt like LOTS was happening (and it was!). And if you weren’t a donor, well, the more you learned, the more you wanted to be one. Remember that these were the days before Axanar…even before Star Trek Continues (their first episode was still eight months away). Sure, other quality fan productions like Star Trek: Phase II, Starship Farragut, Star Trek: Intrepid, and Star Trek: Dark Armada were releasing new episodes. 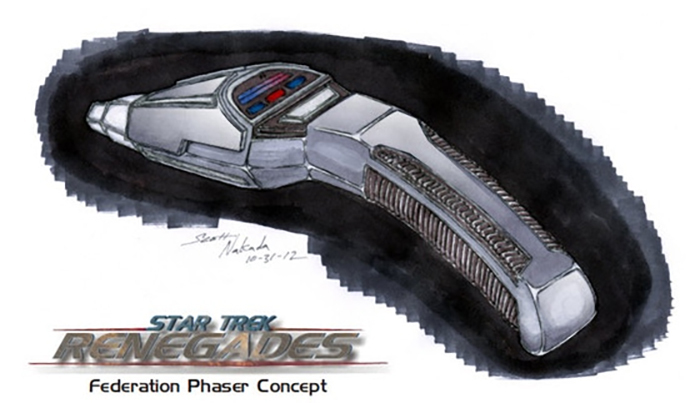 But Renegades was operating at a whole other level…even compared to Phase II/New Voyages. Despite all the excitement, the Kickstarter was still struggling to reach its very ambitious goal of $200,000. After nearly two months, and with just six days left to go, they were still $24,000 (12%) short of the required total. But donations began to pick up, and the following day, they finally crossed the $200,000 mark! And they almost made it! The final total on November 26 was $242,483 from 2,367 backers…quite an accomplishment! 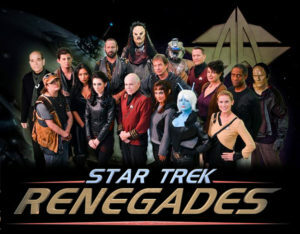 Star Trek: Renegades would happen….just not as quickly as first hoped. Since that time, we have completed the script, and it is much more ambitious than we originally envisioned. We quickly realized the minimum budget amount we raised will not be enough to complete our production – at least not to the standards we want. We’ve already made a few cuts in the script with regard to characters, locations and visual effects. But bottom line, we want to present CBS with the absolute best, highest quality, professional product we can create, and we need more funding to do that. Yep, that meant a second crowd-funding campaign. A full two years before Axanar took some heat from detractors for going back to the donor “well” a second time for additional funding for their full-length feature, Renegades was already blazing that trail. And there’s nothing wrong with that. They were still planning to shoot a 90-minute, professional-quality fan film for only 0.1% of the budget of a Hollywood blockbuster. If they needed that to be 0.2% or 0.3%, what’s the big deal, right? 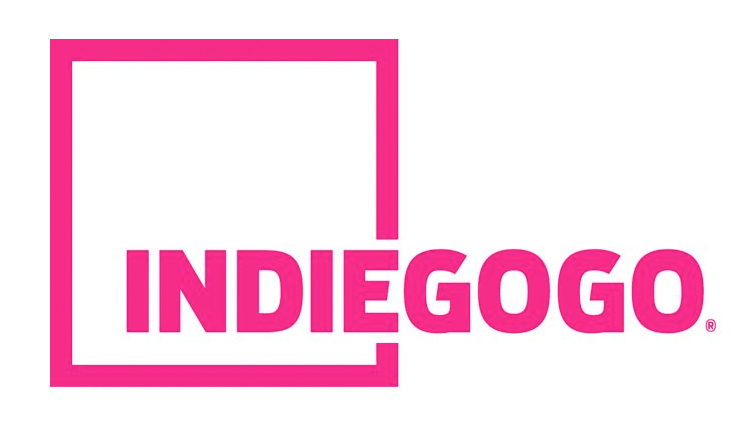 The next campaign kicked off on July 31, 2013, this time using Indiegogo. The big difference between Indiegogo and Kickstarter is that Indiegogo doesn’t require a campaign to actually reach their goal in order to get the money. If your goal is a half million dollars and you only raise $200, you get to keep that $200 (minus fees, of course). Renegades set their new goal at a fairly “humble” $20,000. After all, they’d already taken in $242,000. This additional $20,000 was a minimum required to extend their shooting an extra two days. This included fees for studio rental plus additional salaries for more actors in what had turned into an expanded cast. But that didn’t mean the Renegades folks wouldn’t be open to taking in MORE than $20,000 in donations. Sets, makeup, props, and costumes could all be improved dramatically with more money to spend—more exotic-looking aliens, better ears for Tuvok, a physical doomsday weapon prop to act around without having to rely entirely on CGI, sonic spear weapons for the bad guys, even original Starfleet uniform designs, as Renegades takes place ten years after Voyager returns. Many wondered how successful this new crowd-funding campaign would be coming so soon (barely seven months) after the previous Kickstarter ended. The answer wouldn’t take long. In just two days, they were already at $10,000…half the way to their goal! When the campaign ended a month and a half later, their total was $132,555 from 1,499 backers!! This brought the combined donation total for the two campaigns to more than $375,000…an amount unheard of for Trek fan films back in 2013. Not only did they have the ability to pay for more days of filming, better make-up, improved costumes, and more props; the extra influx in cash allowed for the construction of a physical bridge set for the USS Archer. Initially, the plan was to simply shoot those scenes in front of a green screen and composite in a virtual background. But fortune favored the Renegades, as not only did they now have enough to build a practical bridge set, but they actually got a hold of discarded pieces of the original Enterprise-D bridge set discarded by Paramount to use for the fan film’s bridge. 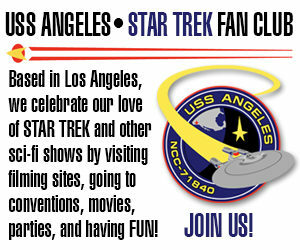 STAR TREK and all related marks, logos and characters are owned by CBS Studios Inc. This Indiegogo fundraiser website, the promotion thereof and/or any exhibition of material created by the operators of this website are not endorsed or sponsored by or affiliated with CBS/Paramount Pictures or the STAR TREK franchise. There you go—all the i’s crossed and t’s dotted. Now, it was time to go make a fan film! “We’re looking forward to having it out and done in spring of next year,” Tim says at the end of that video. Again, that was the plan…but reality would prove to have other ideas. 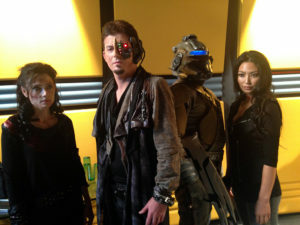 Essentially, it means Renegades has gone through the editing process and this cut has been approved by the producers. Our editors, Michael and Marc Linn have done a fantastic job, going through at least 6 different “cuts,” each time making changes with feedback from the producers, writers, director and other crew. Beyond this point, the edit will change very little. A film is “locked” so that the sound designer, composer and visual effects artists can score the sound and music and create the visual effects directly to the picture. While the music and sound are being created, the VFX team is already hard at work creating all the visuals for the film. These include starship passes, space battles, phaser beams, explosions, even creating a cascade of falling rocks that were never there! So they were now in post-production. The music would be composed; the sound would be completed and optimized, and the visual effects would be added. There was only one problem: they’d run out of money and didn’t have enough left for the visual FX!!! Next time, will the fans want to support a THIRD crowd-funding campaign? And we’re now in 2014…the year that Prelude To Axanar came out! What effect, if any, would that fan film have on Renegades (and vice-versa)? Previous Previous post: TERRY McINTOSH is officially warned by actor TONY TODD not to use his AXANAR blooper footage! Next Next post: New fan series ENDEAVOUR releases its debut episode “The Gift”!